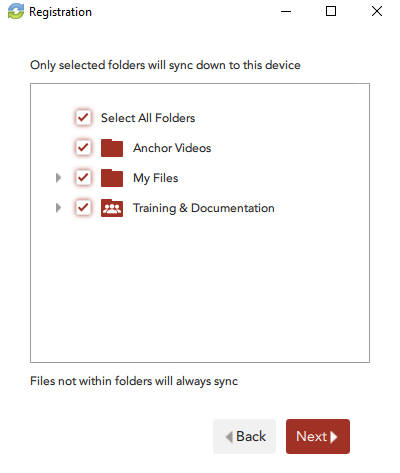 Selective Sync lets end users select which Team Shares and subfolders sync down to their local machines. With Selective Sync, users can easily prioritize the content that is most important to them while saving on bandwidth and storage costs. Users can still access all of the data they have stored in the cloud, whether it is synced locally or not, through the web portal. 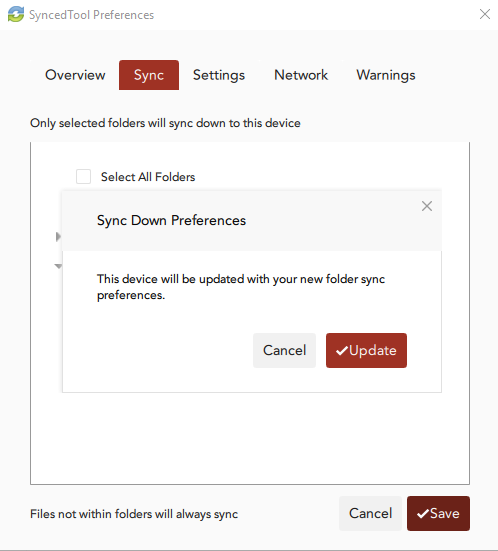 The Selective Sync feature is configurable through the desktop client installed on both Windows and Mac machines. 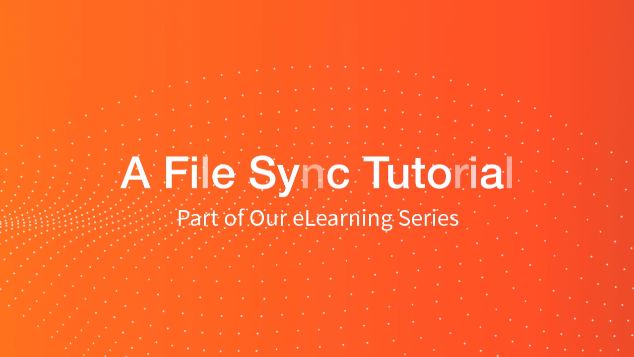 To conserve bandwidth and local storage resources, use the Selective Sync tool to selectively sync down only the folders that you work with most frequently. Remember that you can always change the folders that sync locally as content needs change. For example, if you are currently working on one project folder in a Team Share, you might decide to only sync down that one subfolder. When you begin working on a new project, you can then sync down the new project folder. You might also decide to use the Selective Sync feature when you first register and install the desktop client. In many instances, registration takes many hours—even days—to completely sync down all Team Shares and personal content. 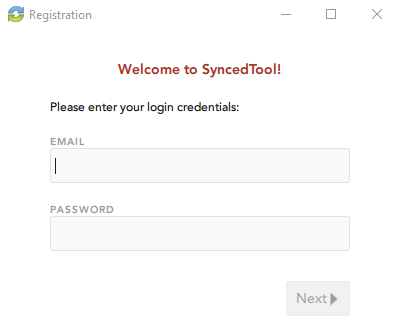 The Registration wizard allows you to access the Selective Sync feature during registration so that you can prioritize this initial sync down process. 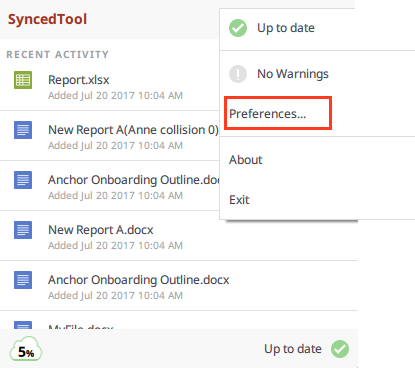 After installing the Anchor desktop client on a desktop or laptop, the Registration wizard prompts the user to select the content that should sync down to the local machine. After the Setup wizard completes, the Registration wizard will automatically launch. Click the Next button to begin the registration process. For full instructions on how to install the desktop client, please reference the How to Install and Configure the Desktop Client Knowledgebase article. 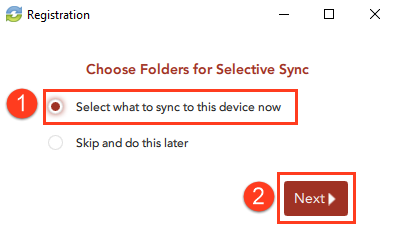 When the wizard displays the Choose Folders for Selective Sync screen, click the Select what to sync to this device now radio button to deselect content that you do not want on your local machine. Then, click the Next button to continue. The Selective Sync screen displays. You can unsubscribe your local machine from syncing an entire Team Share by deselecting the top-level checkbox adjacent to the appropriate Team Share root. Or, you can select an entire personal folder. Optionally, you can navigate using your keyboard arrow keys. You can also click to expand these items to deselect content at the subfolder level. Continue the registration process until completion. You can also use the Selective Sync feature after registration is complete. 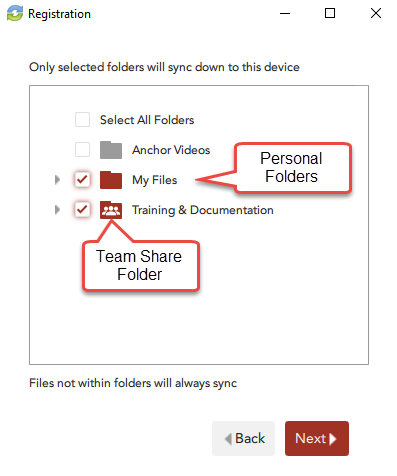 In the Sync tab, you can select or deselect Team Shares and subfolders from syncing down to your local machine. Optionally, you can navigate using your keyboard arrow keys. You can also click to expand these items to deselect subfolders. Click the Save button when you are finished selecting and deselecting content. A confirmation dialog box will display, notifying you that your device has been successfully updated. Click the Update button to confirm these changes. The desktop client will resync as appropriate.